The Tilba Region, not your usual weekend retreat. 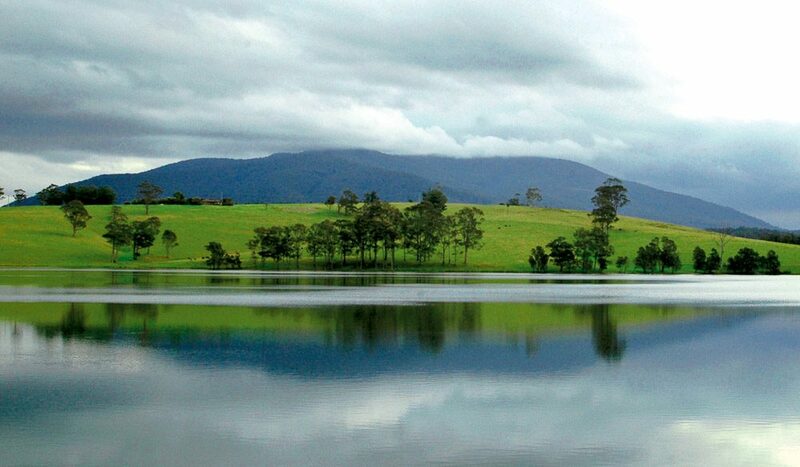 The Mountain that dominates the skyline of the Tilba region is the densely forested Gulaga. Here, the larger of the two timeless towns, Central Tilba, nestles alongside the volcanic slopes, referred to as Mt Dromedary by non-locals. Both the tiny towns are preserved heritage villages with a cheese factory, jewellery stores, a woodturning gallery, bygone sweet stores, walking tracks and friendly locals. These towns may be quaint but certainly aren’t your dainty little weekend retreats – get tipsy at Tilba Valley Wines situated on the shores of Lake Corunna, hike through the misty forests of Gulaga or take the family snorkelling in the shelter of Mystery Bay. Settled during the bustling gold rush of the 1850s, the farming grew as the gold ran out. Today you’ll wander through the streets and get a great sense of how life was lived; little has changed. Stroll among interestingly designed buildings, old shop facades, lush green forest gullies, then buy a bottle of wine, some quince paste and cheese and find a patch of grass to plonk down on. Now relax and watch life go by. WHERE // The NSW South Coast, 370km south of Sydney. DID YOU KNOW? // Gulaga was an area of spiritual significance to the Yuin people who inhabited the land long before Captain Cook named the mountain Dromedary. It’s for this reason the locals insist on calling it Gulaga.